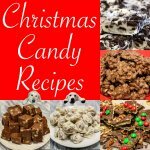 Super easy candy that will be a hit at the office, party or give it as a gift. All recipes include simple step by step photo instructions. Make a batch of two of 4 Ingredient Crock Pot Chocolate Peanut Clusters to delight your gift list friends and family. Maybe even the office. Or grab a grandchild and make a batch of super easy fudge with Crock Pot Fudge.